Set into the hillside behind the Arlington Mansion are six illuminated asphalt tennis courts. Surfaced regularly, the courts are windscreen-equipped, with an ample practice backboard and maintained by the experienced golf course and grounds team. Our courts are open year-round based on weather conditions. Special event sign-up sheets and informational flyers will be posted on the Golf Shop and Tennis House bulletin boards. Email will also be used for sign ups and to inform members of event updates. There is a 24-hour cancellation policy for all private lessons, and a 48-hour cancellation policy for all special events. Laurie Larkin is the Head Tennis Instructor for the University Club at Arlington. 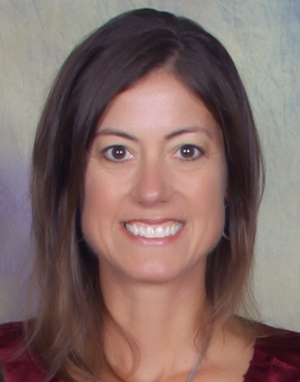 Dr. Larkin is an Assistant Professor at EKU where she has taught courses for both undergraduates and graduates in Public Health for the past 14 years. Laurie played college women’s basketball and tennis for the University of Wisconsin, River Falls where she made both the All-District and All-Conference tennis teams. She was the assistant coach for the University of Wisconsin, La Crosse women’s tennis team and has instructed in many tennis camps since 1988. She currently plays USTA League tennis at the 4.0 and 4.5 levels in Lexington. Laurie and her husband, Jim, have 2 boys and reside in Richmond.